Michael Benavides defends Automotive Repair Dealers, Smog Check Stations and Inspectors licensed by the Bureau of Automotive Repair (BAR) in license revocation proceedings. He has defended individuals and facilities in formal administrative hearings, settlement negotiations and conferences. If you have been served with an Accusation seeking revocation of your BAR license call attorney Michael Benavides at (916) 596-1018 for a free phone consultation. Michael Benavides charges flat fees payable by credit card. Unlike many attorneys who charge a large retainer and bill by the hour, Michael favors predictable flat fees that often save clients tens of thousands of dollars compared to hourly billing. Michael represents BAR clients across California. Whether clients are located near his Sacramento office or in Southern California, Michael can often represent clients through phone, fax and in person at the formal administrative hearing. Lawyers use their education, skill and experience to achieve an optimal outcome for their clients. For criminal defense lawyers this means keeping their clients out of prison. For license defense attorneys this means keeping the BAR license so clients can continue their business and protect their livelihood. Sometimes license defense attorneys achieve this objective through a formal administrative hearing, but often the license can be protected through settlement at a lower cost to the client. 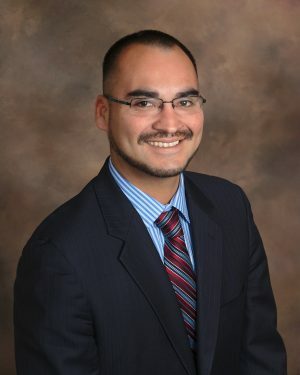 Nevertheless, whether the license is defended through a hearing or settlement, attorney Michael Benavides delivers value to his BAR clients by employing his legal education culminating in his Certification in Administrative Law, skill in negotiation with licensing agencies, and experience defending clients in formal administrative hearings. Another reason to hire a Bureau of Automotive Repair Defense Attorney is that you will be facing a BAR attorney at the formal administrative hearing. The BAR attorney drafted the Accusation, has extensive experience in formal administrative hearings and will use their legal knowledge, skill and experience to revoke your license. Accordingly, many BAR defendants level the playing field by hiring their own license defense attorney. The Bureau of Automotive Repair will file an Interim Suspension Order (ISO) in only the most egregious cases. Often the Interim Suspension Order is issued when regulatory violations represent a threat to public health and safety. In such instances, the BAR recommends complete revocation and invalidation of all registrations and licensees. In turn, clients who receive an interim suspension order have the right to an accelerated hearing. If you have been served with an ISO call Michael Benavides at (916) 596-1018 today to enforce your right to an accelerated hearing.